Welcome to our listings page! 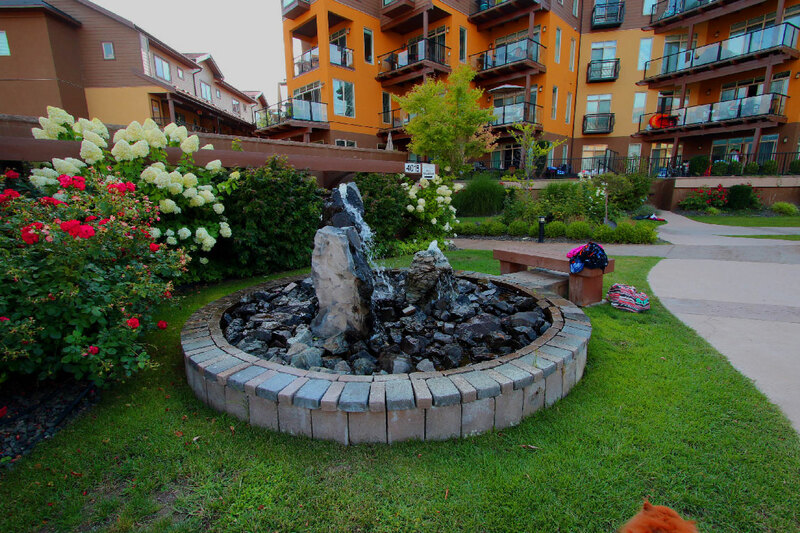 We offer first-class vacation rental condominiums in several downtown Kelowna and waterfront resorts. 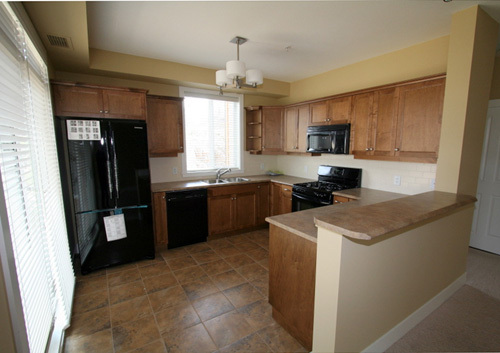 Rentals are offered on a daily, weekly, and monthly basis, depending on the season and the property. Many of our vacation properties can also be leased from September to May. Looking for a last minute reservation? No problem: We accept Discover Card, VISA and MasterCard, as well as cheques and other forms of payment. Now that we are accepting Discover among our payment options, we can also welcome Diner's Club International, China UnionPay, BCcard, and DinaCard. Exceptional lakeside condominiums surrounded by beautiful beaches, waterfront boardwalks, and parkland. Whether you want to work out at the fitness gym, visit the health spa, or just lounge around the pool, Barona Beach Lakeshore Resort lets you enjoy all this and much more. 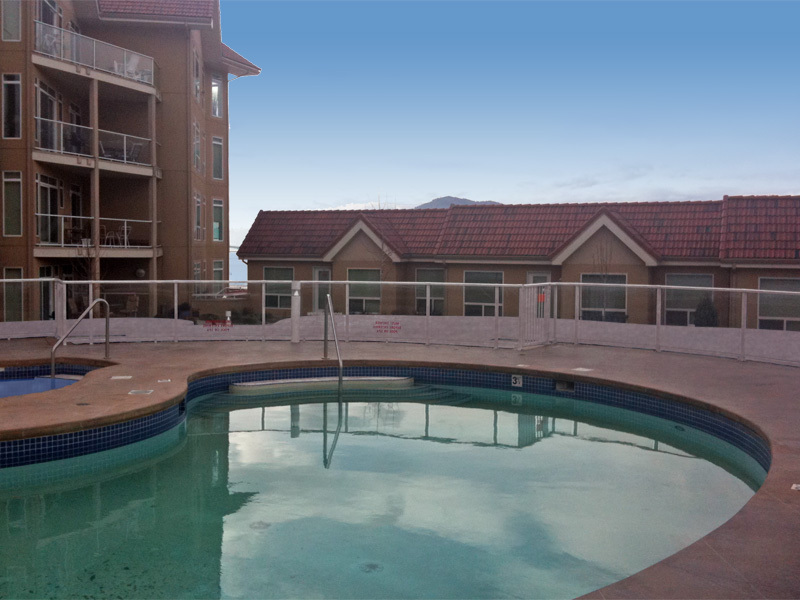 We have an outdoor swimming pool and hot tub, beaches, boat slips, and underground parking. Enjoy the privacy of your own luxury condo, with access to our exceptional attractions such as wineries, restaurants, casinos, theatres, fashionable boutiques, and art shops. Boat rentals and dinner cruises are close by. Stroll along miles of lakeshore, beaches, and canals. See our Links page for more ideas and information. Boat moorage, additional parking, and meeting space may be available with some properties upon request. 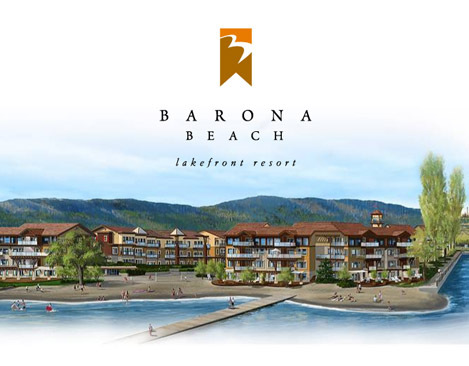 Barona Beach Lakeshore Resort is elegant lakeshore Okanagan living! VIEWS of Lake Okanagan and Pritchard Canal from your deck. This newly renovated and furnished luxury guest suite has a large deck, all necessary appliances & furniture, hardwood floors & carpeting, and free parking. Just move in and enjoy relaxing Waterfront Resort Living! 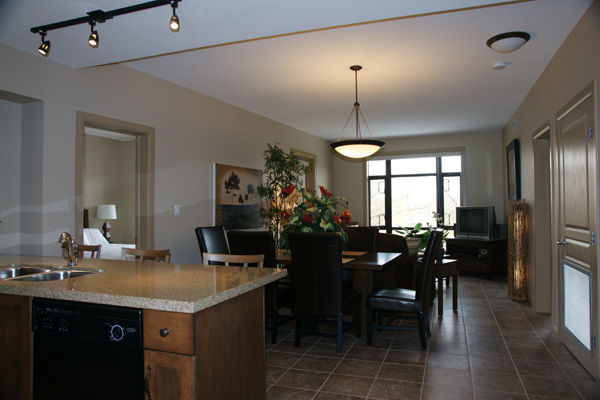 Amenities: FREE WiFi & Underground Parking, Swimming Pool, Hot tub, Exercise Gym, BBQ, Patio Deck. Nearby Attractions: Beaches, wineries, fine dining, shopping, theatres, golf courses and ski hills. 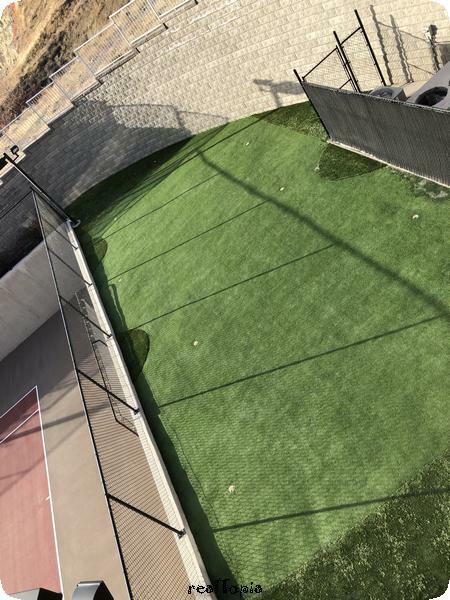 >>Click to view details and to reserve this home. 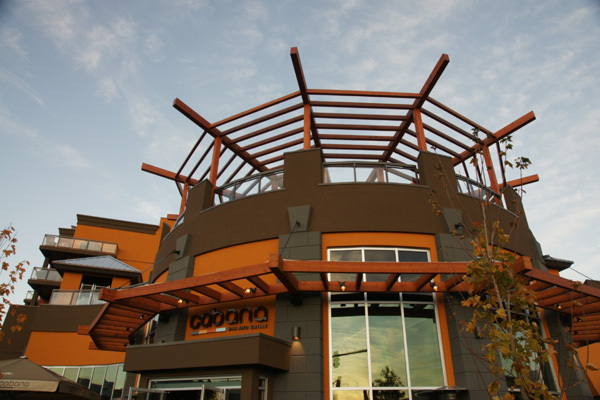 Copper Sky Resort: the crossroads are Okanagan Highway and Grizzly Road. Copper Sky features 5-storey condominium buildings (total 192 units built in 2010). 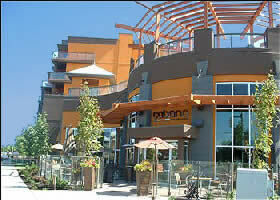 Copper Sky Resort is an amenity-rich condominium community located in beautiful Westbank, Kelowna. 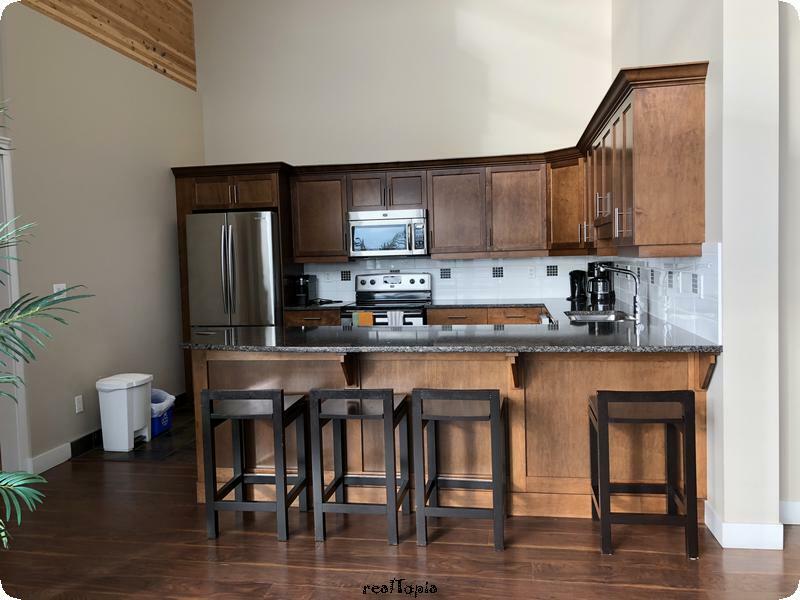 Featuring stylish interiors, generous outdoor patios with extraordinary lake views and dramatic 9' ceilings - the perfect vacation home to take in the breathtaking Okanagan scenery. The closest grocery stores are Nature's Fare Markets, Shannon Lake Convenience Store and Real Canadian Superstore. 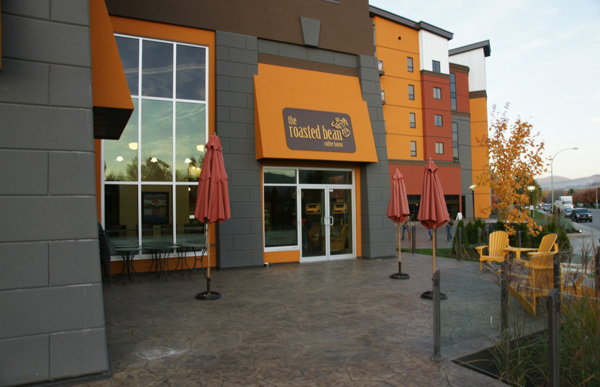 Nearby coffee shops include Marble Slab Creamery, Dragons Lair Speciality Teas and Tim Hortons. 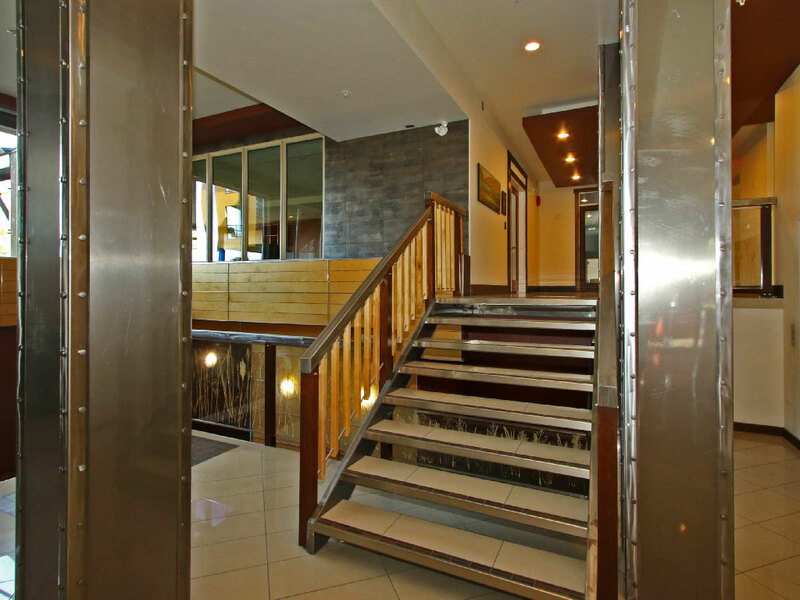 Nearby restaurants include Baron Mark W, McDonalds and Swiss Chalet Rotisserie & Grill. 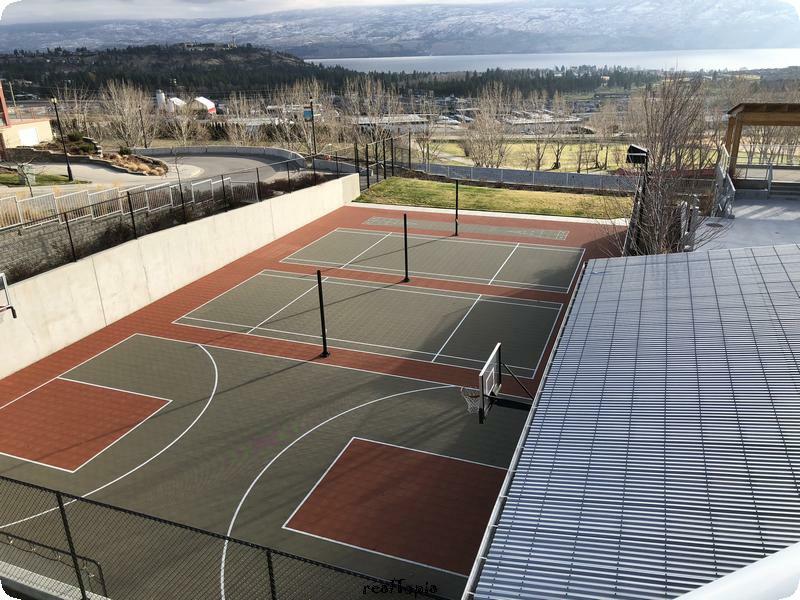 Enjoy the unsurpassed $5million world class 8400SF Amenities Centre with its dramatic 25 foot ceiling over the lounge and panoramic views of Okanagan Lake and the Okanagan Valley. 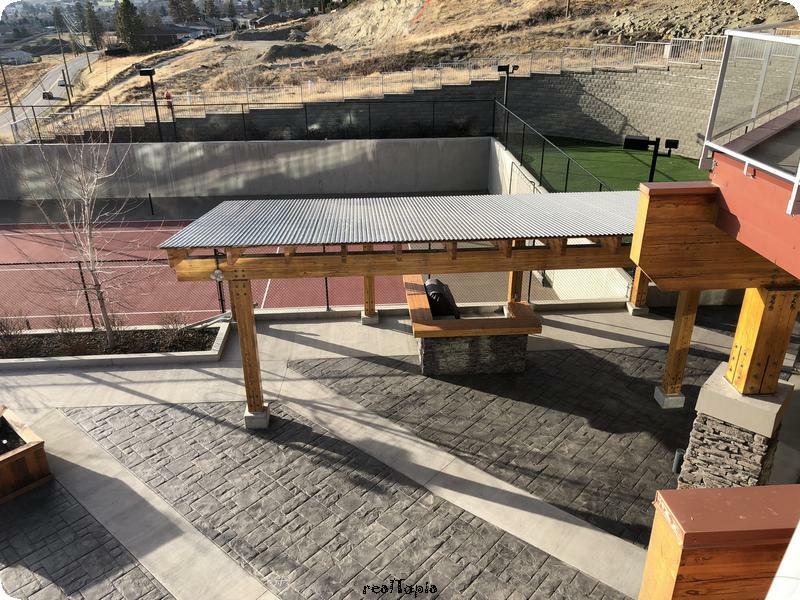 The complex includes an expansive 10,000SF outdoor pool deck, child's pool & hot tub overlooking Okanagan Lake, also with tennis courts, pickleball court, outdoor basketball court, outdoor large-scale Chess & Checkers boards, putting green, lawn bowling, outdoor lounge areas, children's play area, and BBQ zone to host large gatherings of friends, family or clients. You will also find a state-of-the-art fitness centre with universal gym, free weights, cardio machines, and aerobics area, steam sauna & dry sauna rooms, change room facilities, Meeting room with board room table and TV for presentations, 2 Lounge areas, library, children's play area, games room with billiard table, ping pong, darts, and poker tables & wet bar, plus a fully-equipped kitchen and dining area to host larger gatherings. See our Links page for more ideas and information. 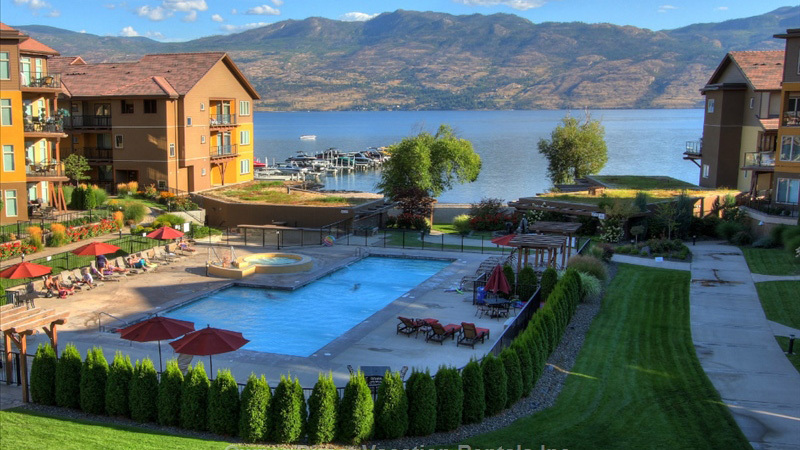 Copper Sky Resort is exceptional Okanagan living! 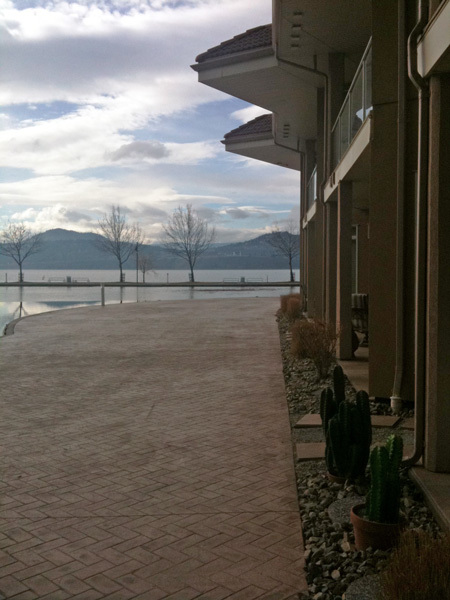 VIEWS of Lake Okanagan from your deck & quick access to the Amenities Centre. This newly updated and furnished luxury guest suite has a large 22' deck, all necessary appliances & furniture, hardwood floors, tile & carpeting, and free parking. 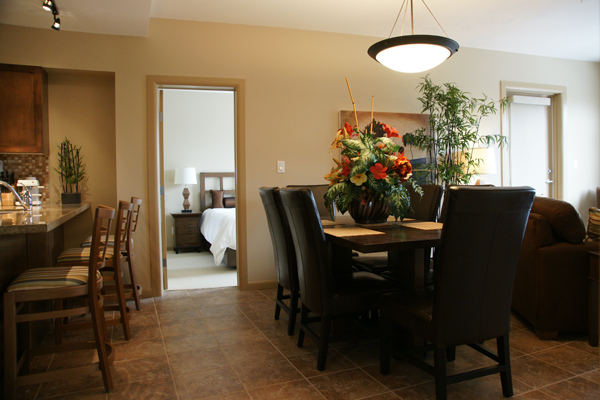 Just move in and enjoy relaxing spectacular Resort Living! 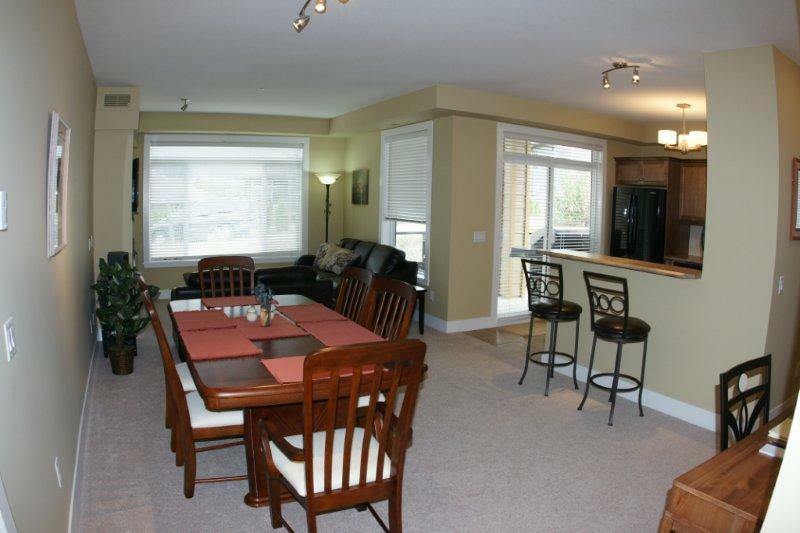 LUXURIOUS TRENDY CONDOMINIUMS - fully furnished and outfitted to accommodate up to 8 people comfortably. We include Egyptian linens, towels and bath necessities, in-suite laundry facilities, kitchen-ware, gas barbeques, and more. 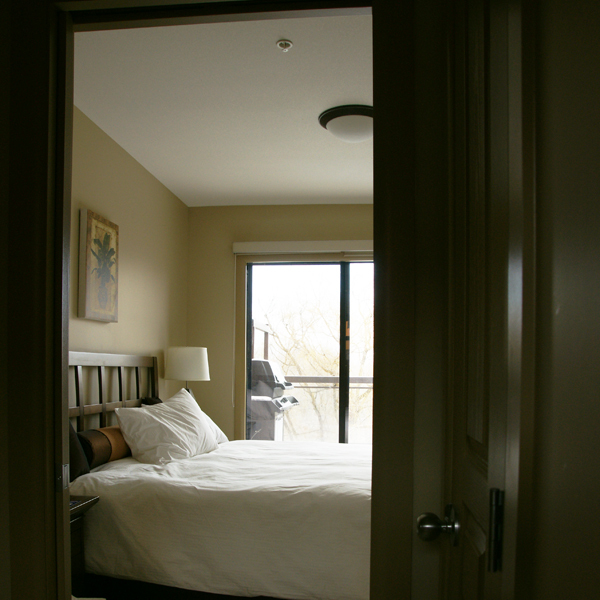 Some units have king-size beds and patio heaters. Just move in and experience the resort lifestyle. 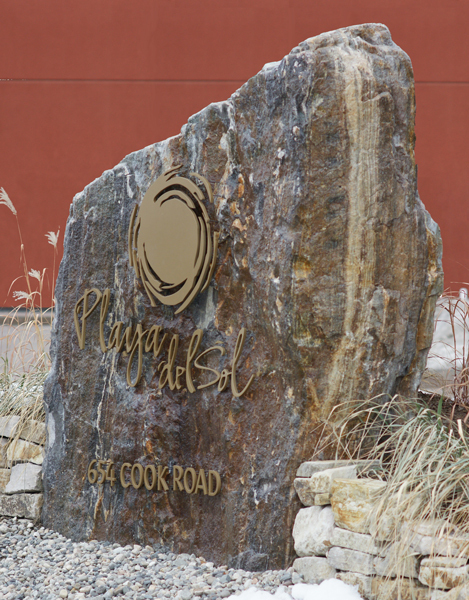 Located in the heart of breathtaking Okanagan Valley, Playa del Sol is the newest 1st-class resort in the vibrant Mission district of Kelowna BC Canada. Peak season offers daily (minimum rates apply) and weekly rates while off-season monthly leases are available. If you desire a true home-away-from-home experience while travelling on business or pleasure, Playa Del Sol Resort is the place to stay. Offering an experience unlike any other, the 4-star resort hosts an exquisite gourmet restaurant, a trendy Coffee Shoppe, and other retail services. 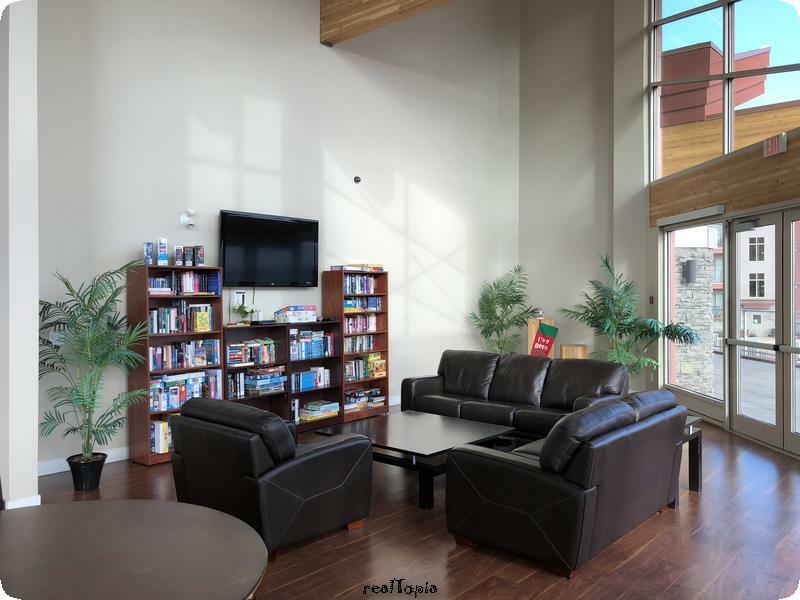 The facility features a beautiful lobby, four elevators, and secured, heated underground parking. 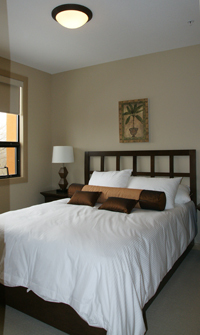 Playa del Sol is your ideal setting for relaxation, recreation and indulgence. 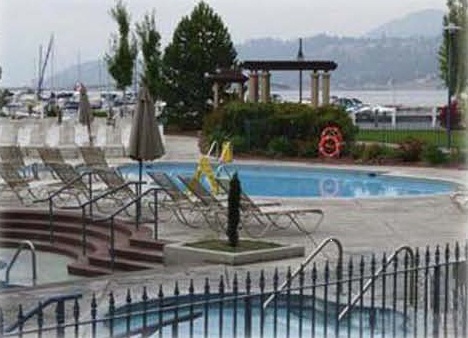 Escape to the swimming pool, hot tub, and cabanas on the 3rd-storey garden decks, overlooking fun-tastic Lake Okanagan. 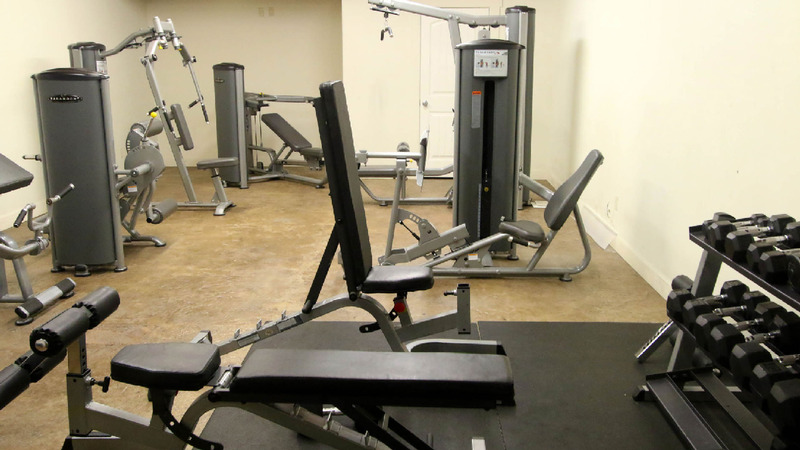 A fitness gym, sauna, and games and theatre room are open year-round. 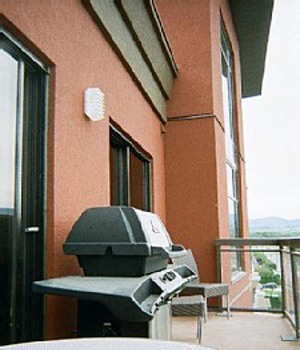 Enjoy the expansive sundecks, outdoor terraces, and BBQ centre. You can stroll along the nearby boardwalks and creeks or relax at the nearby beaches. A marina and public boat launch are just across the street, where you can find moorage for your boat. Rent jet skis and watercraft at the marine centre. Also across the street are the liquor store, bicycle rentals, and other shops. See our Links page for other fine dining choices too! 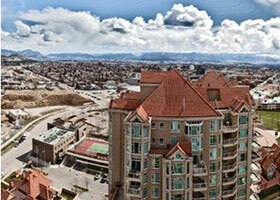 Luxury topfloor condominium in Kelowna's trendiest district. 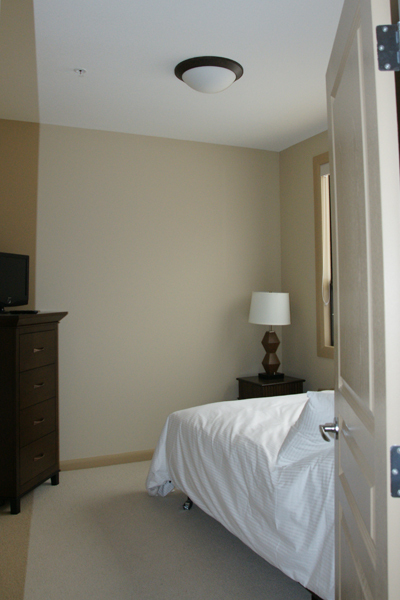 This is a newly constructed, fully-furnished guest suite. Marble counters, fireplace, TWO large decks, PlayStation console & patio heater distinguish this exceptional unit on the quiet garden decks of the resort. 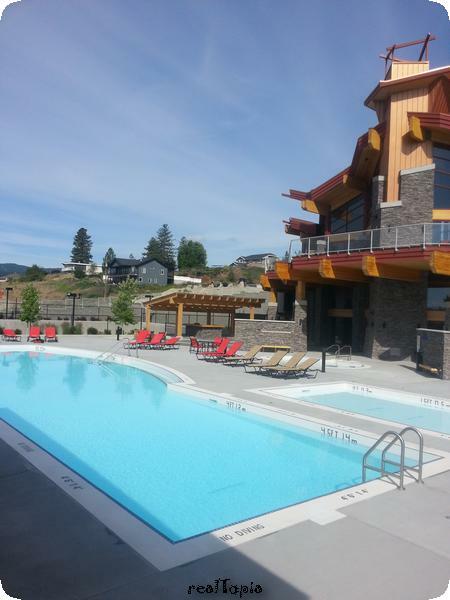 Amenities: Pool, Hot tub, Exercise facility, Steam room, Games room, BBQ, Patio heater, Underground parking. 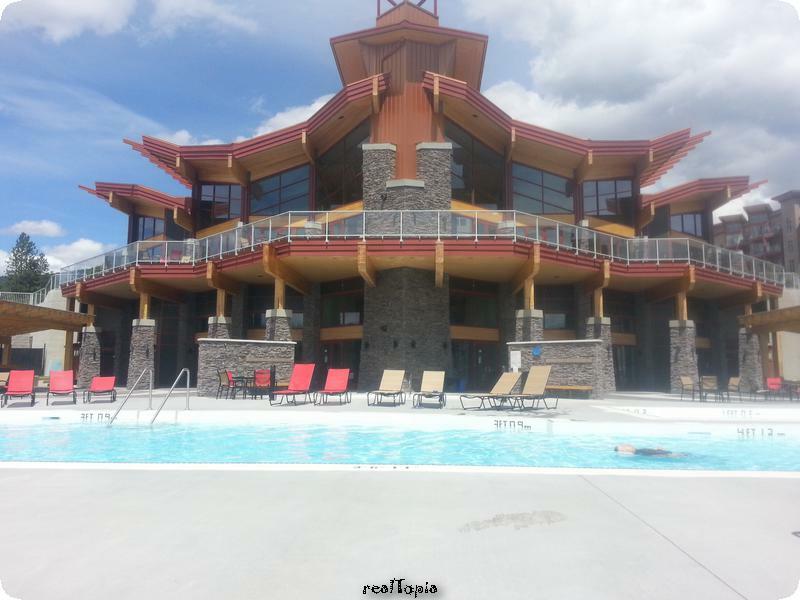 Nearby Attractions: Restaurant, Spa, Beaches, marina, wineries, golf courses, and ski hills. 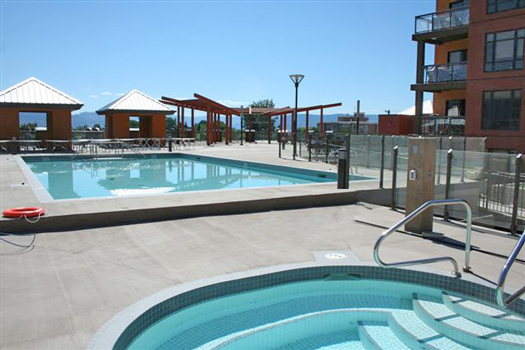 Kelowna's trendiest resort across from Lake Okanagan features this large, lofted condo unit with 2 large decks, pool, hot tub, Coffee Shoppe and more! This is a top-floor unit overlooking serene Wilson Creek. 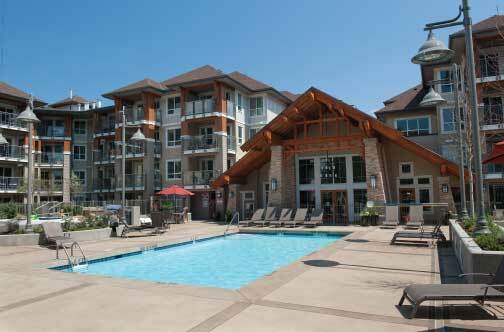 Amenities: Pool, Hot tub, Gym, Steam room, Games room, BBQ, Underground parking. Nearby Attractions: Beaches, marina, wineries, golf courses, and ski hills. 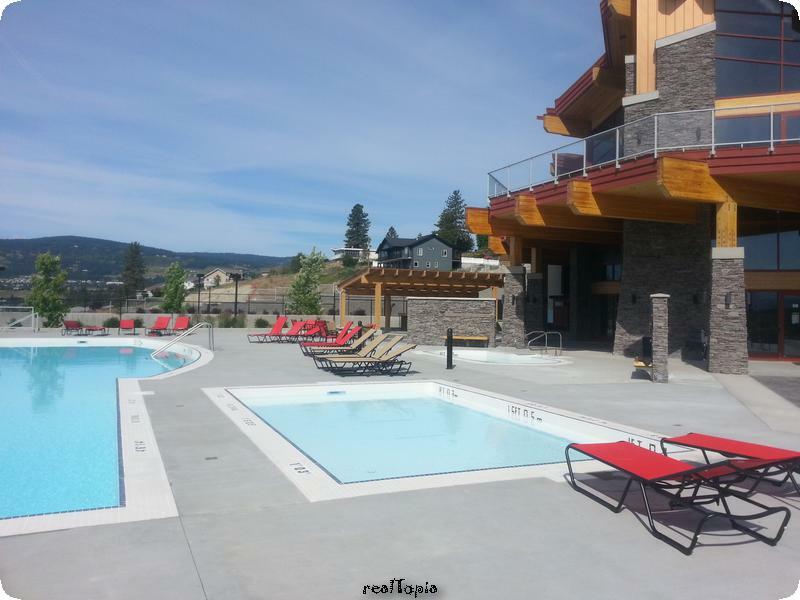 Amenities: Pool, Hot tub, Gym, Steam room, Games room, BBQ, Patio heater, Underground parking. 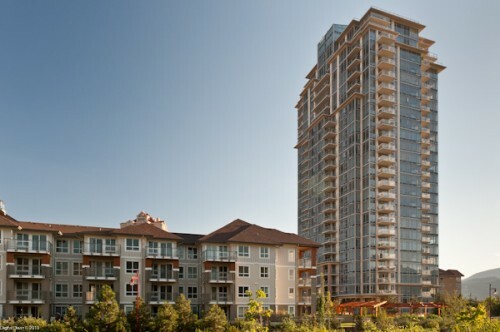 Luxury condominium in Kelowna's trendy Mission district. This is a newly constructed, fully-furnished guest suite. Custom fireplace, hi-end stainless steel appliances & wet bar are just a few of the features not available in the other resort units. 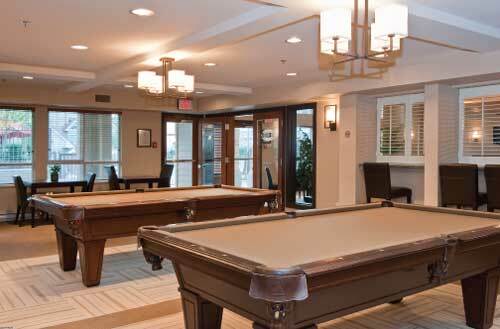 Amenities: Pool, Hot tub, Exercise room, Steam room, Games room, BBQ, Underground parking. 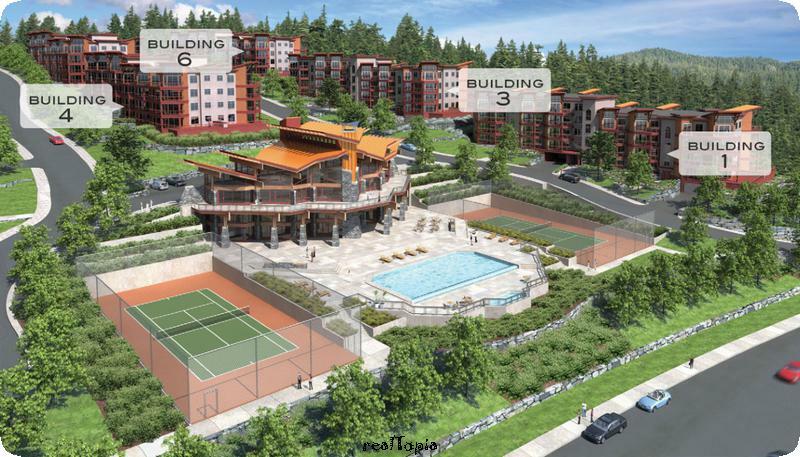 A HOT new resort in downtown Kelowna, featuring condos, townhouses, and a hi-rise tower. 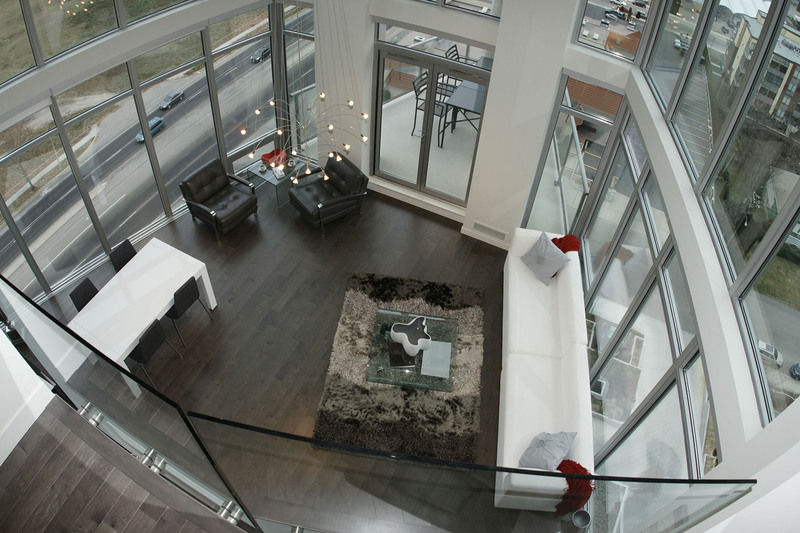 The Skye at Waterscapes tower is spectacular with its contemporary glass and concrete architecture. You arrive in style by the formal entry driveway leading to a beautifully designed reflecting pool and soaring lobby. 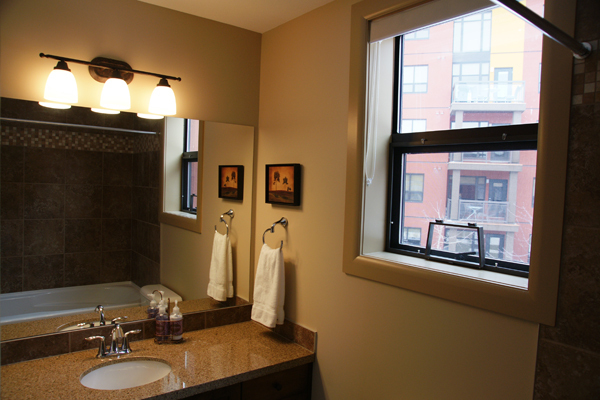 Expansive windows in all tower suites capture breathtaking views. Enjoy spacious sky-terraces with captivating views for outdoor living and entertaining. 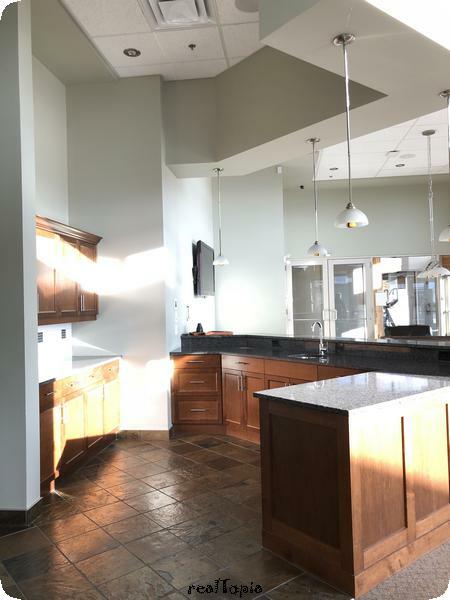 Granite countertops, stainless steel appliances, fireplace, insuite laundry,central A/C, wireless internet, cablevision ensure your comfort and convenience. 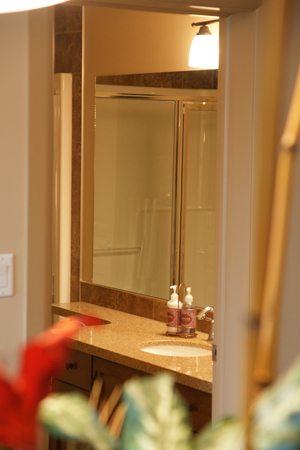 Master bedrooms have spacious walk-in closets. The private master ensuites feature an acrylic soaker tub and shower base in some units. Peaceful pedestrian-friendly community walkways with trellised arbours and decorative street lamps greet your outdoor excursions. Retreat to the Cascade Club. 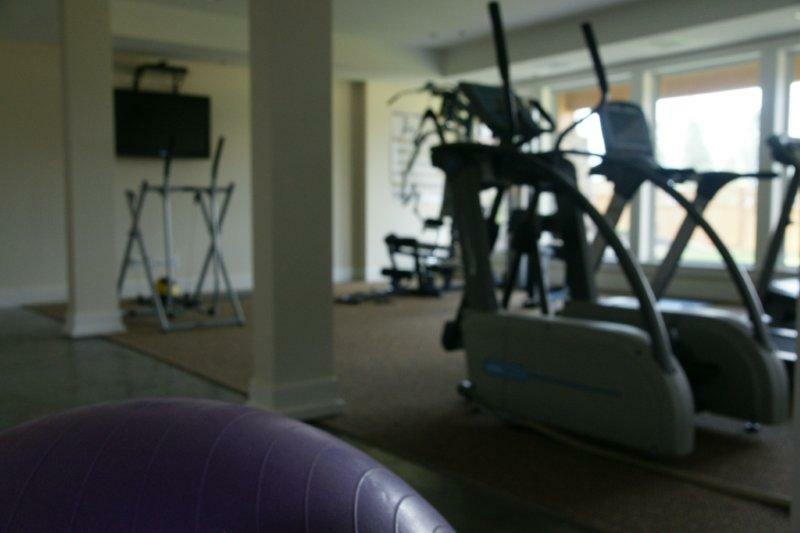 Our amenities include a yoga studio, swimming pool, 2 hot tubs, putting green, change rooms, movie theatre, billiards lounge, fireside lounge with games tables, outdoor loungers, outdoor kitchen with BBQ, fully equipped fitness gym, garden picnic area, and more! A public boat launch and boat rentals are just a short walk away. Stroll along the nearby boardwalks, beaches and walking trails. Convenience is at your doorstep. PAMPER BODY AND SOUL in the HEIGHT OF LUXURY! 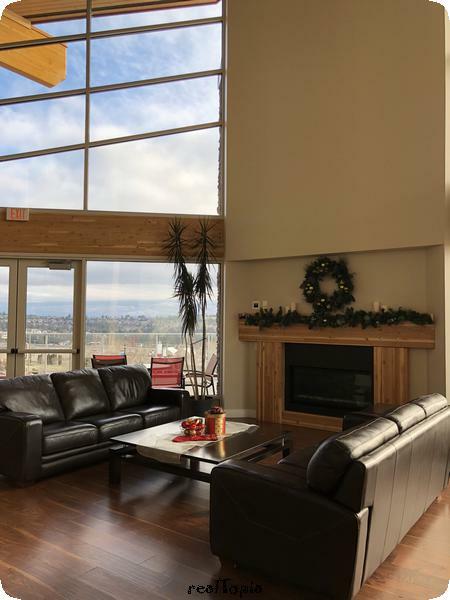 This luxury condo in Skye at Waterscapes is a step above the rest, ideally situated in Kelowna's waterfront Cultural District. Waterscapes Resort offers you 1st-class vacation rentals, walking distance to all amenities, and spectacular views from your personal sky terrace. 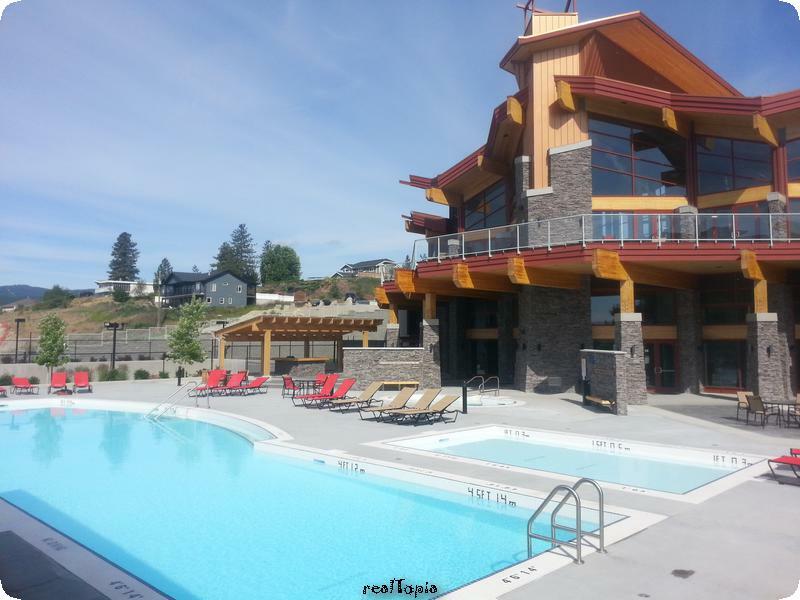 Amenities: Breathtaking views, fireplace, insuite laundry, Pool, Hot Tubs, Gym, Clubhouse, outdoor BBQ, Underground Parking. Nearby Attractions: Beaches, marinas, wineries & orchards, hiking trails, golf courses, and ski hills. Walk to the finest dining, theatre, events and shopping. 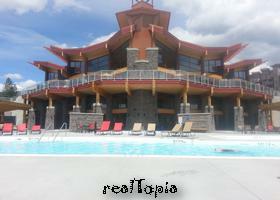 >>Click to view details and to reserve this vacation home. Exceptional lakeside condominiums surrounded by beautiful beaches, waterfront boardwalks, and parkland. 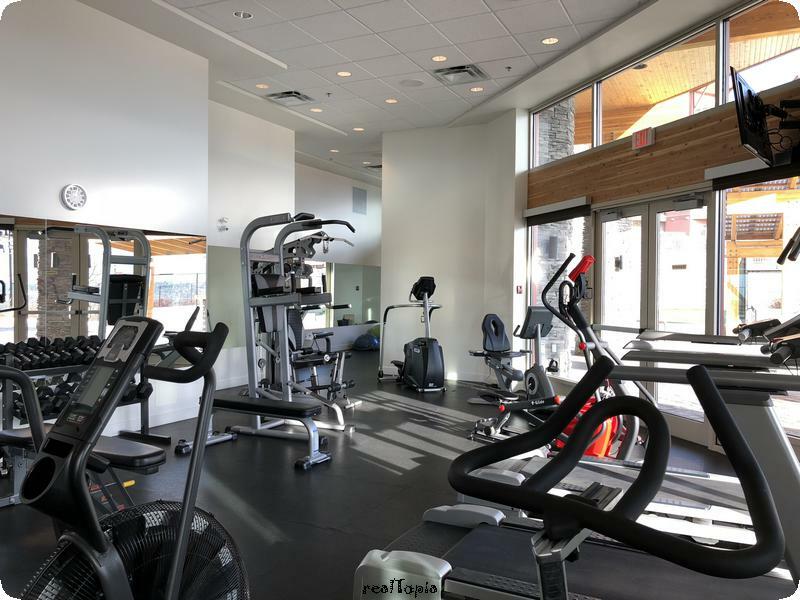 Whether you want to work out at the fitness gym, play a round on our tennis court, or just lounge on the 3rd-floor picnic tables, Sunset Waterfront Resort (formerly Discovery Pointe) lets you enjoy all this and much more. 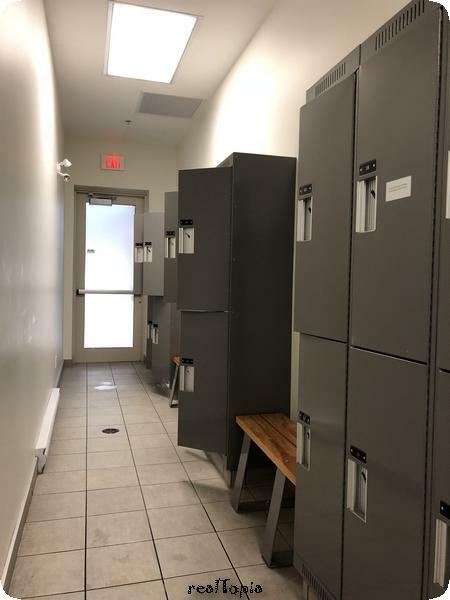 We have a salt-water indoor pool and hot tub, an outdoor swimming pool and hot tub, a steam room, food/drink dispensing machines, and underground parking. 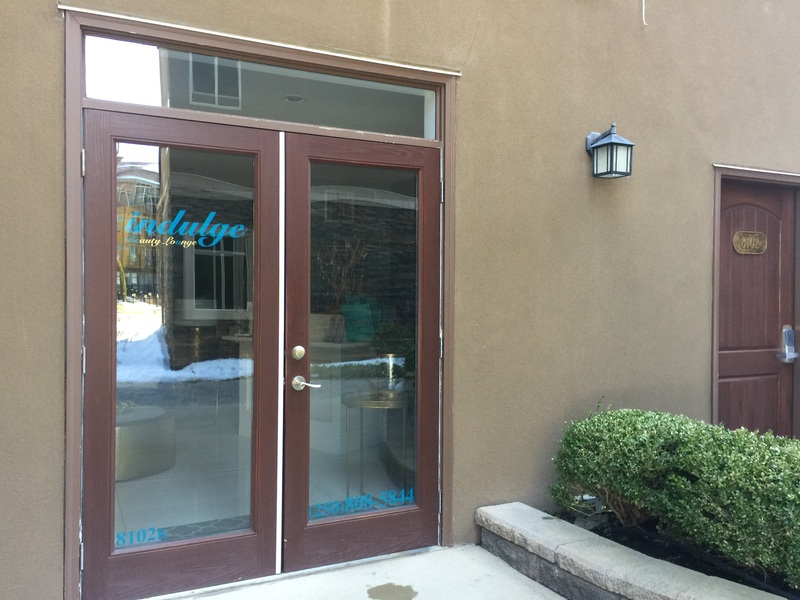 Indulge in the privacy of your own luxury condo, while enjoying the nearby convenience of all amenities such as restaurants, casino, theatres, fashionable boutiques, and art shops. Boat rentals and dinner cruises are close by. 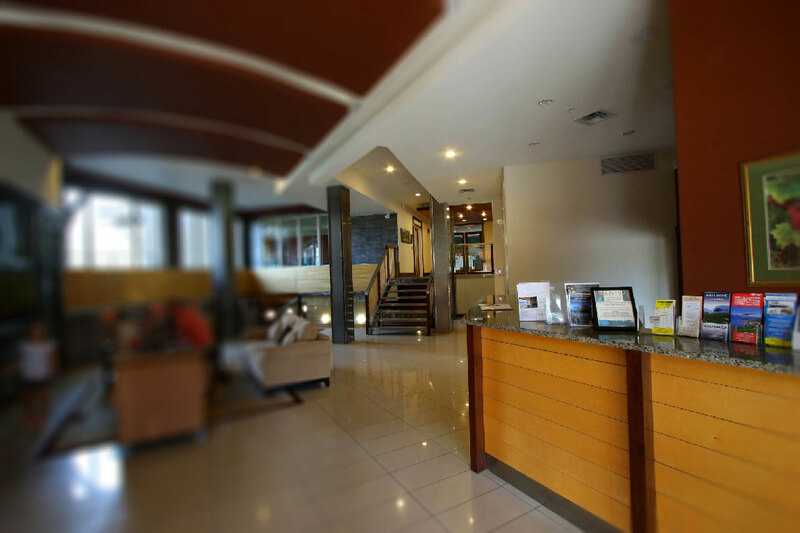 Downtown fine dining, shopping, and entertainment are also a few steps away. Stroll down the 5 km lakefront boardwalk and continue through the Rotary Marsh Park's bird sanctuary and Brandt's Creek (Sunset Park). Great beaches, airplane rides, bicycle rentals, and much more are also steps away. See our Links page for more ideas and contact information. 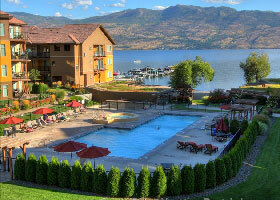 Sunset Waterfront Resort is luxurious Okanagan living at its best! 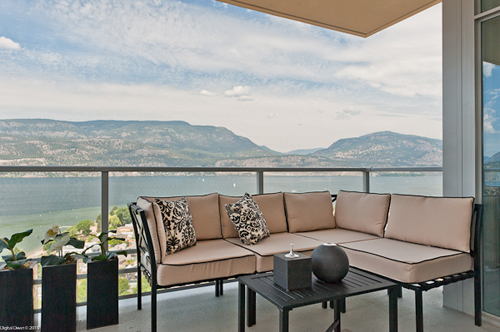 Fantastic VIEWS of Lake Okanagan, Kelowna, and the mountains from this 14th floor luxury condo. This newly renovated, fully-furnished guest suite has hardwood & tile floors, 9' ceilings & all necessary appliances & furniture. 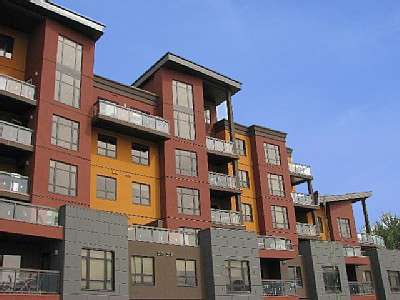 Just move in and enjoy the downtown lifestyle right on Kelowna's Downtown Waterfront! 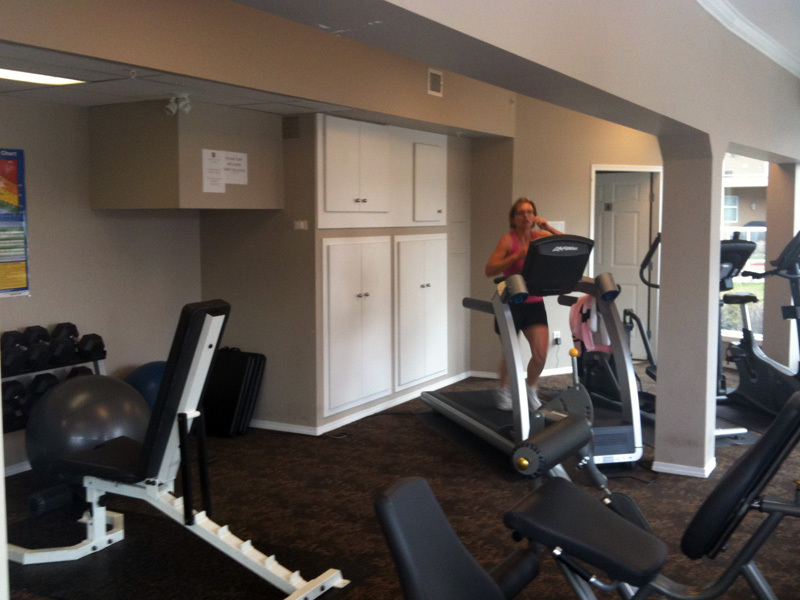 Amenities: 2 Pools, Hot tub, Tennis court, Exercise room, Steam room, Games room, BBQ, 2 Patio decks, Underground parking. Boat moorage may be available upon request. Nearby Attractions: Beaches, marina, fine dining, shopping, theatres, wineries, golf courses, and ski hills. 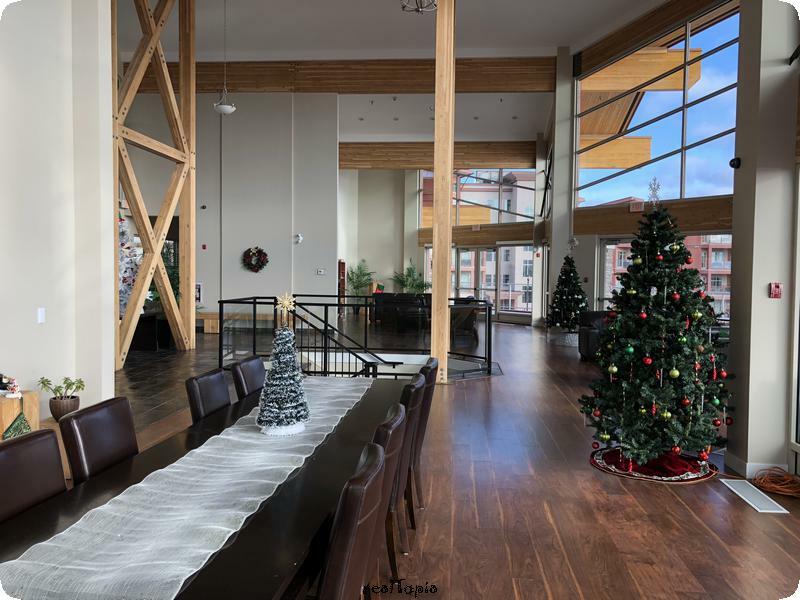 Upscale vacation rentals on Kelowna's Downtown Waterfront: One of the newest luxury condominium resorts on the edge of Lake Okanagan. 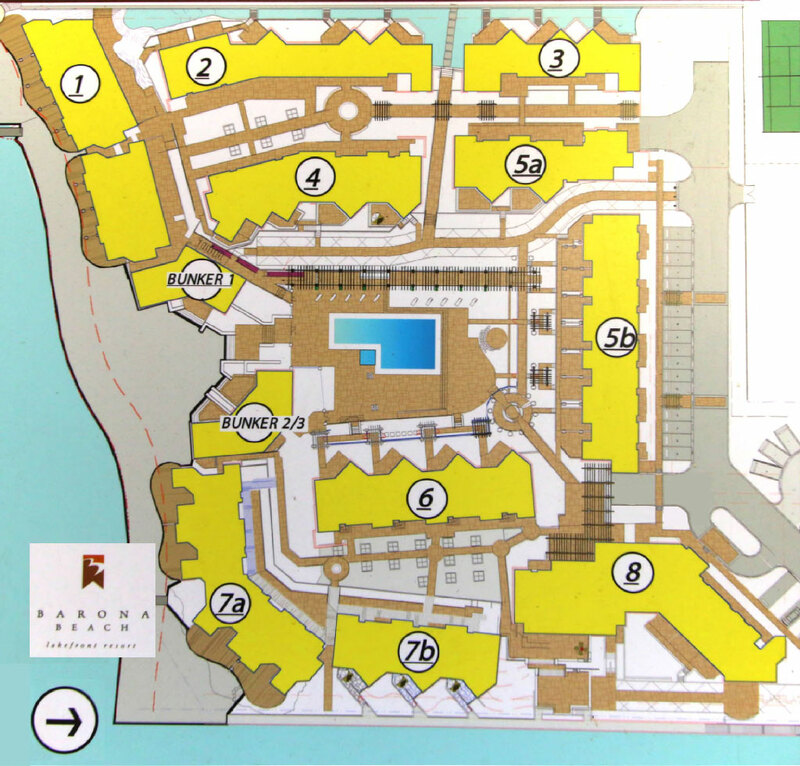 Discovery Bay has a variety of amenities. 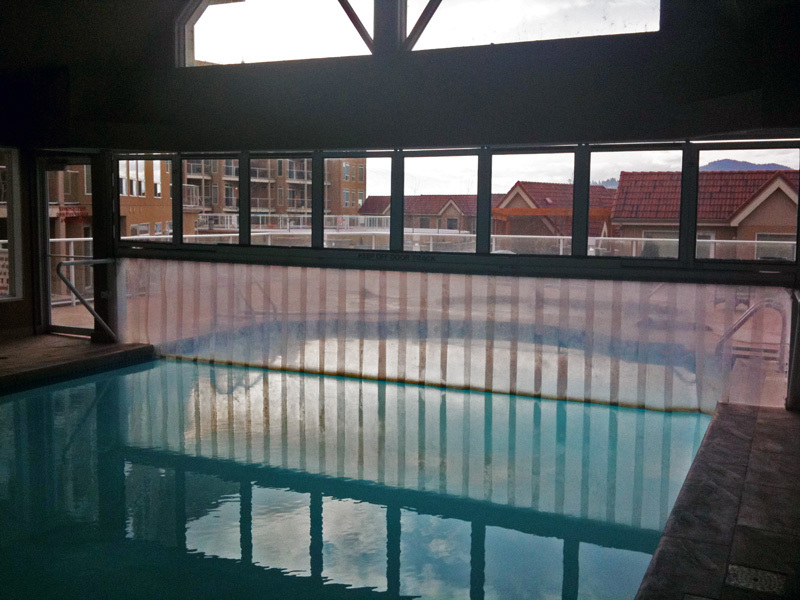 Of its 2 swimming pools, one is partially indoor and open all year. 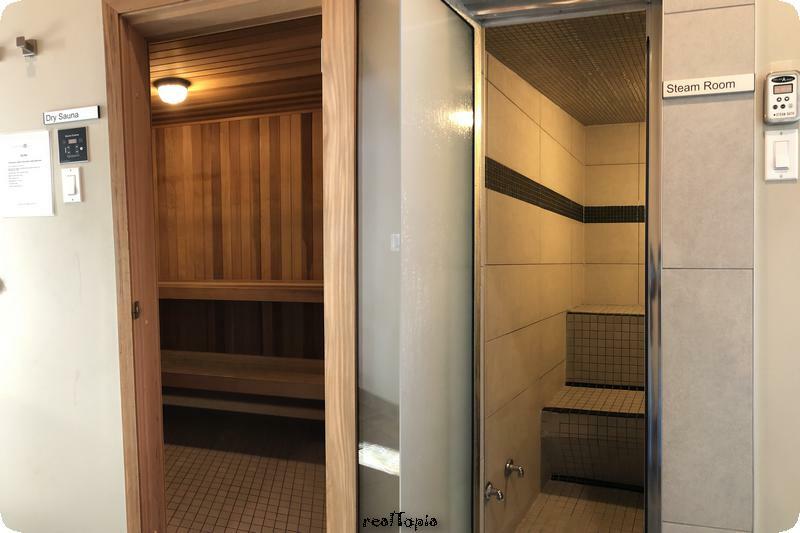 Included are two hot tubs, a sauna, and an exercise facility. 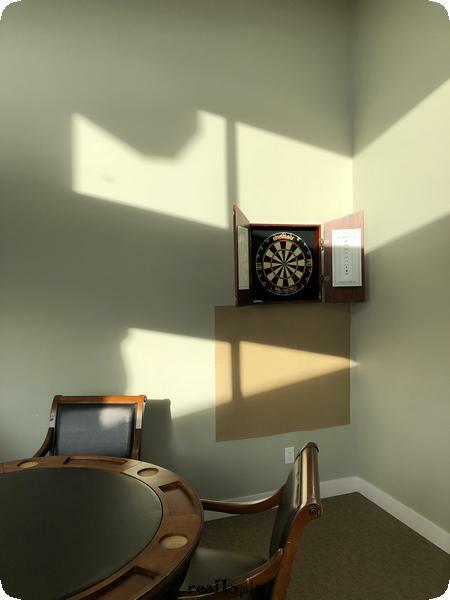 The recreation/banquet room may be rented for special events. 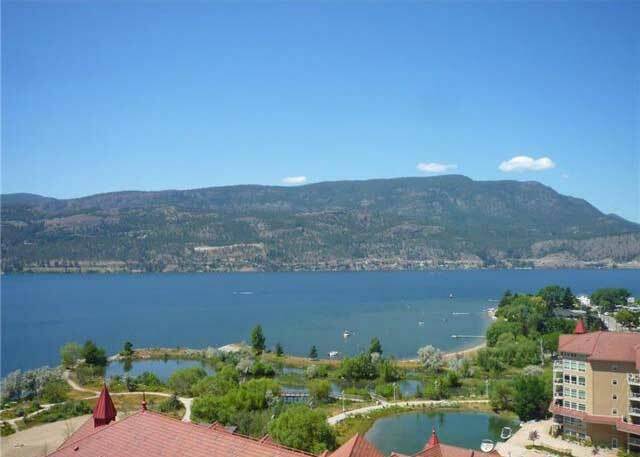 Enjoy the expansive decks, walkways, and BBQ centre as you look over Lake Okanagan. You can stroll along the nearby boardwalks and beaches. A public boat launch and boat rentals are just a short walk away. Shopping and entertainment are also nearby. 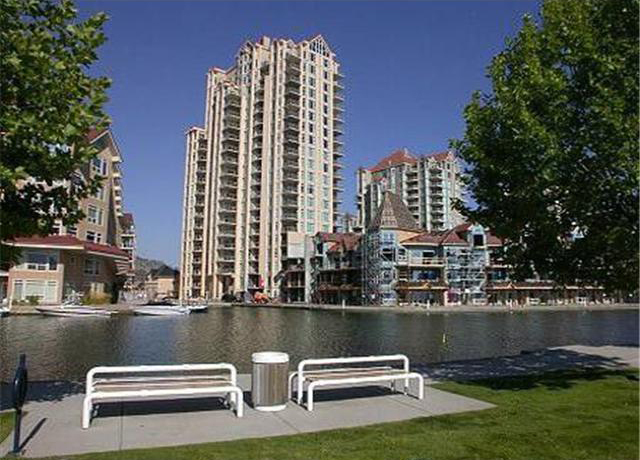 Luxury condominium in Kelowna's Downtown Waterfront district. Discovery Bay Resort offers you 1st-class Vacation Rentals. 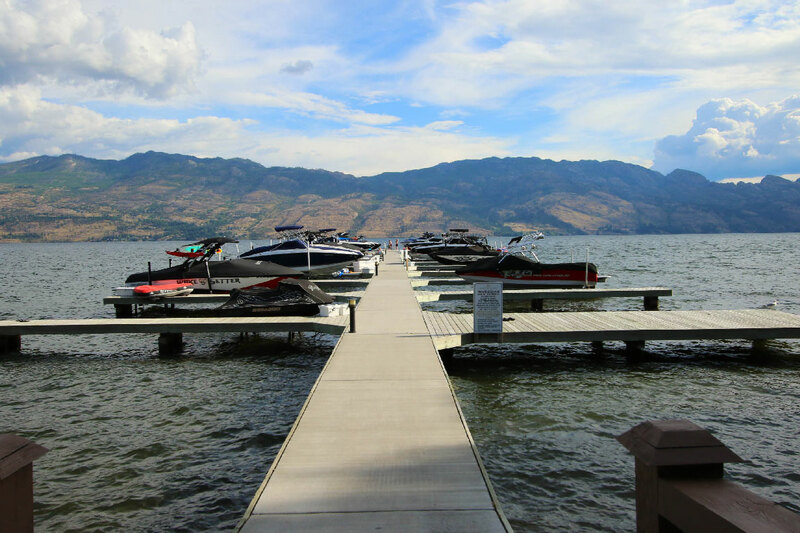 Downtown Kelowna has many beautiful beaches where you'll find sandy beaches, incredible scenery, boat rentals (or bring your boat), and live entertainment in our many parks. 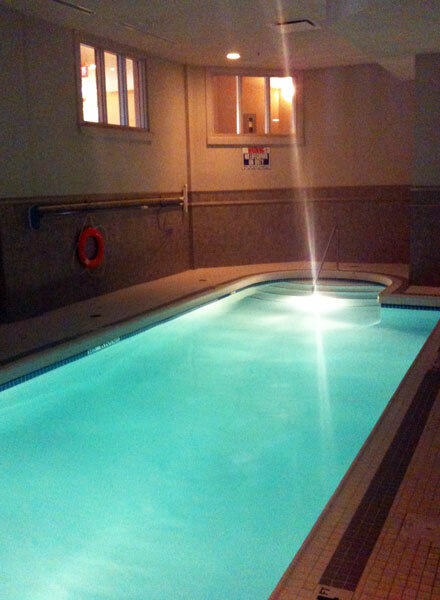 Amenities: Pools, Hot tub, Exercise facility, Steam room, Convention room, BBQ, Underground parking. Nearby Attractions: Beaches, marina, casino, shopping, wineries, golf courses, and ski hills. 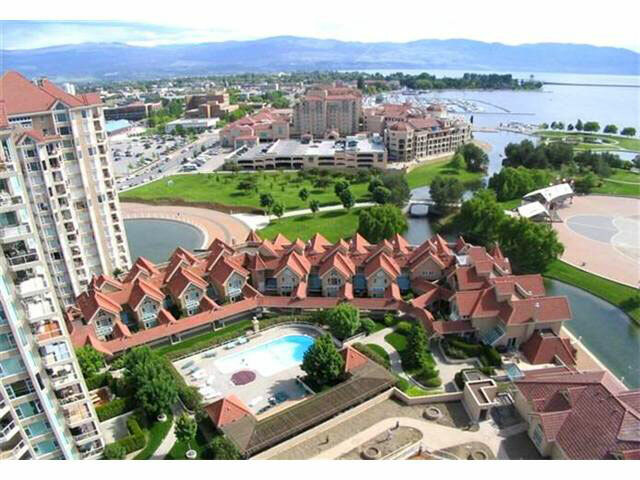 This gorgeous condo is ideally located in Downtown on Kelowna's waterfront, walking distance to all amenities. Located in the cultural district, you will find unique shops, art galleries, and museums. Stroll along the waterfront, and you'll be in the heart of downtown in less than 5 minutes! Kelowna is a 4-season playground. We also offer exceptional vacation properties in our beautiful city. 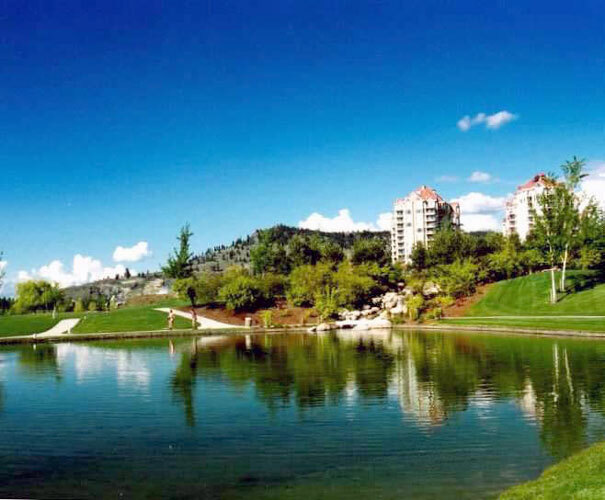 These include luxurious lakeside houses, glamorous condominiums, and private getaway properties. Amenities may include beautiful beaches, waterfront boardwalks, parkland, swimming pools and/or hot tubs, and other attractions. Some properties have boat moorage, additional parking, meeting spaces, and other options. Please enquire in advance as restrictions may apply. See our Links page for more ideas and contact information. 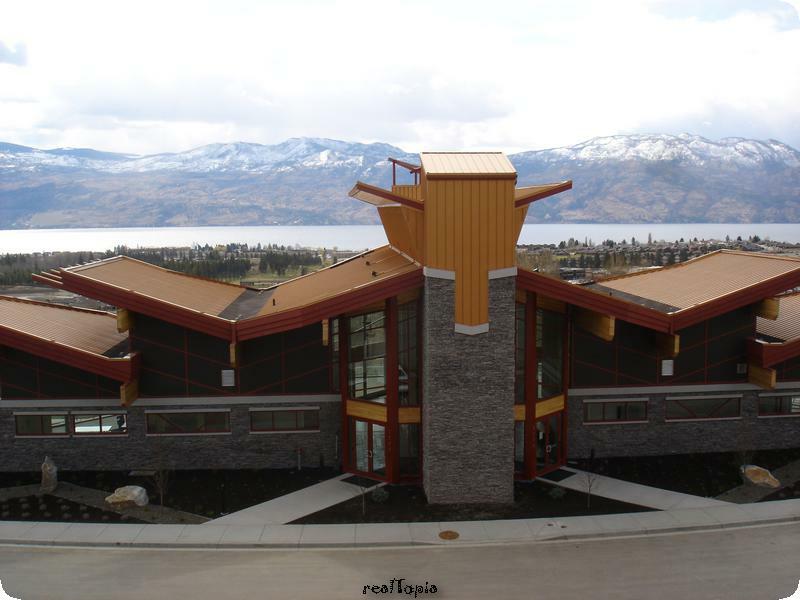 Fantastic VIEWS of Lake Okanagan, Kelowna, and the mountains from this waterfront house on Poplar Point. This newly appointed, fully-furnished guest suite has hardwood, carpetted & tile floors, high ceilings & all necessary appliances & furniture. 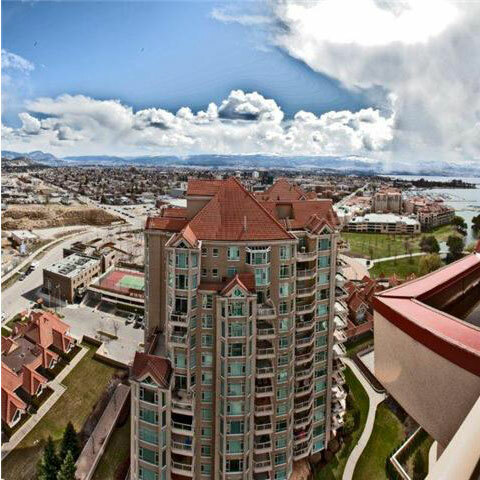 Just move in and enjoy the downtown lifestyle from one of Kelowna's prime Waterfront neighbourhoods! Amenities: King-size bedroom, 3 patio decks, on-site parking, BBQ, beach, lakeviews, nearby tennis court & parks. 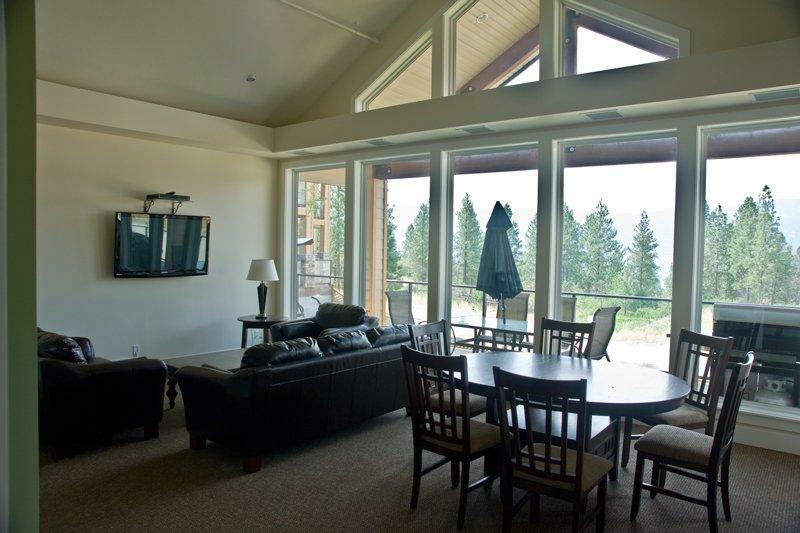 Nearby Attractions: Beaches, boating, marina, fine dining, shopping, theatres, wineries, golf courses, and ski hills. 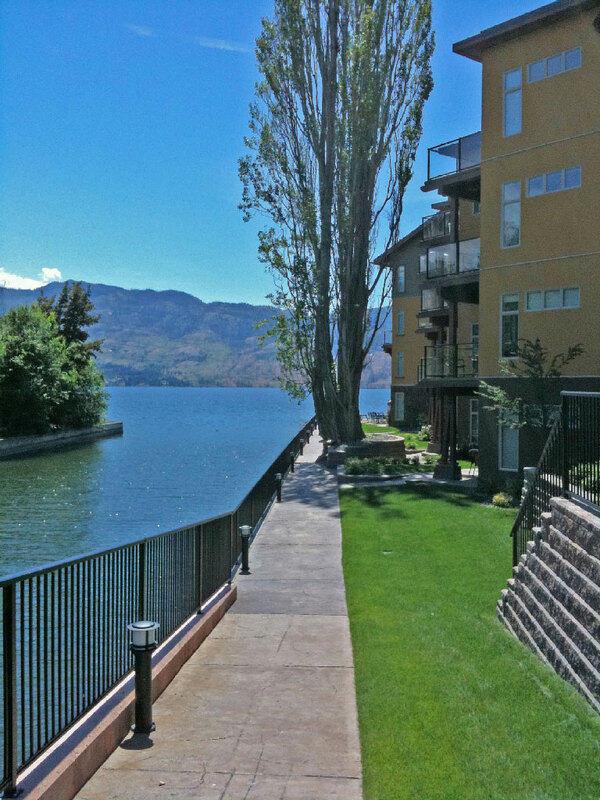 A FANTASTIC LOCATION on Kelowna's waterfront boardwalks. 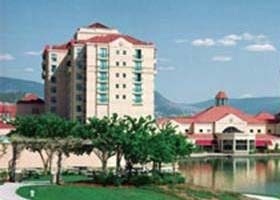 The Delta Grand Okanagan Resort represents the finest in BC resorts. 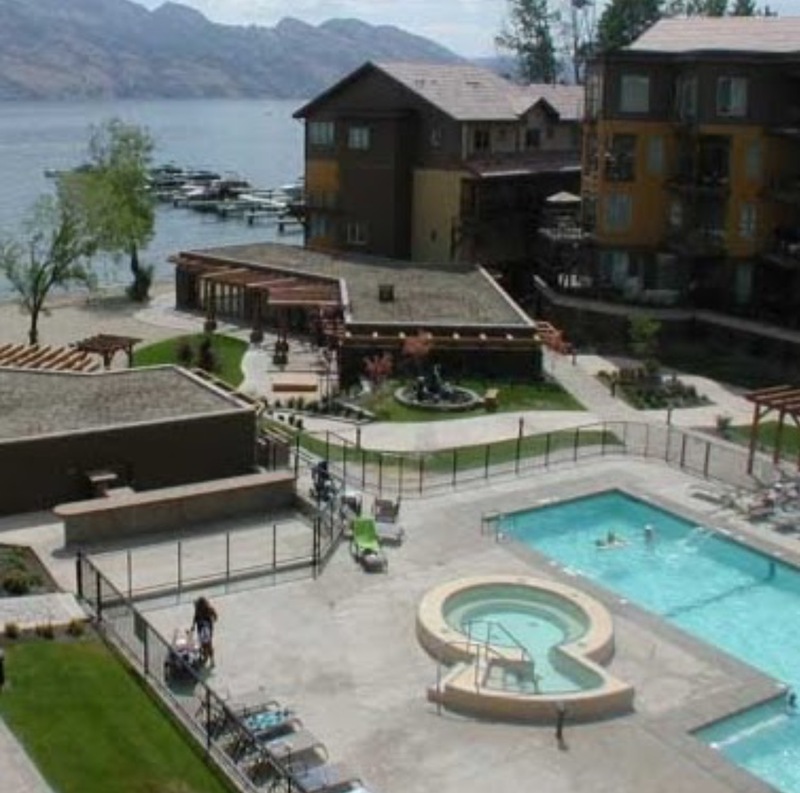 Recently ranked among the Top Waterfront Hotels in Canada for 2010 by Canoe.ca, the Delta Grand Okanagan Resort is praised for its proximity to top Okanagan wineries, skiing, snowboarding, and water sports. 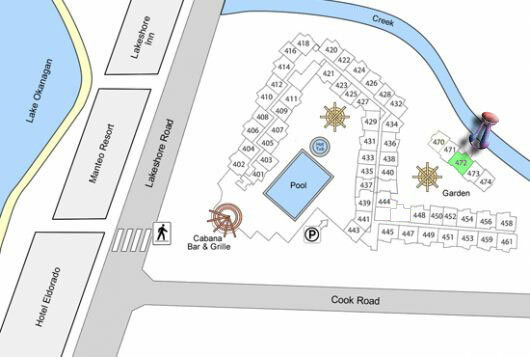 Ideally situated on 7 acres of waterfront parkland, the resort setting is accessible to the main downtown core via a roaming waterfront boardwalk. At our doorstep, Kelowna’s thriving arts and cultural district with many boutiques, art galleries, museums, cafes & restaurants, along with the city’s major entertainment venue, Prospera Place, directly across the street from the resort. Timeless elegance and the beauty of old-world living is reflected within every nuance of the rich décor of our luxurious waterfront villas and guest rooms. 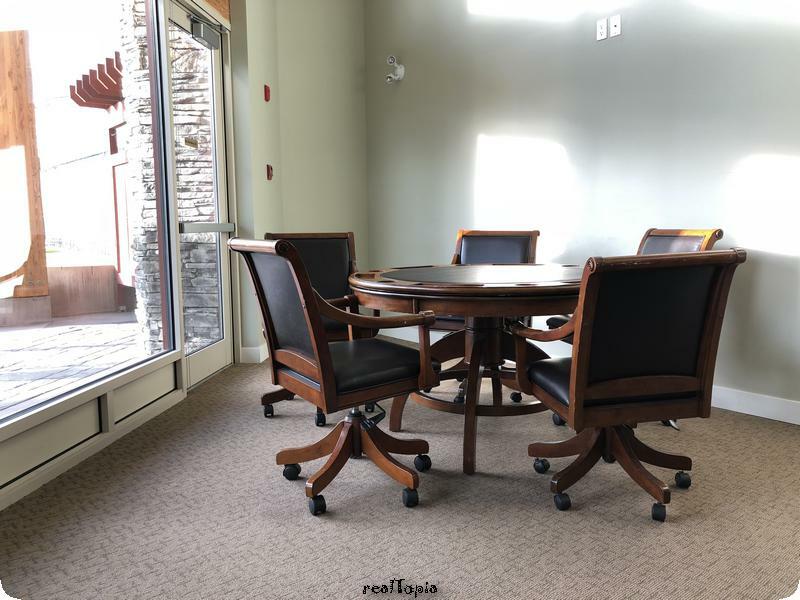 Delta Grand Okanagan Resort and Conference Centre’s professional sales and catering personnel will assist in creating customized meetings or private retreats. 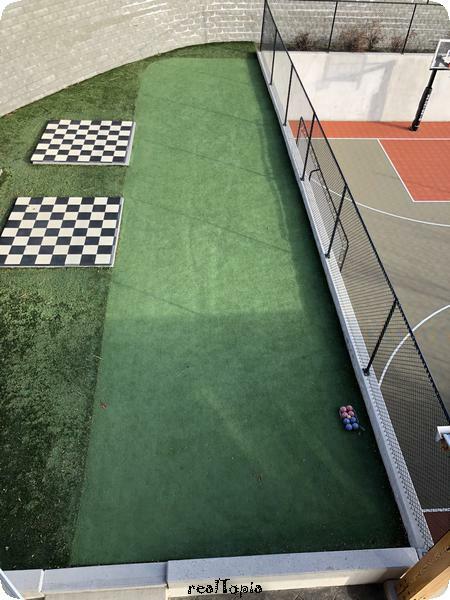 On-site activities include indoor and outdoor pools, hot tubs, sauna, fitness centre, casino, boat and bicycle/vehicle rentals, and games room. 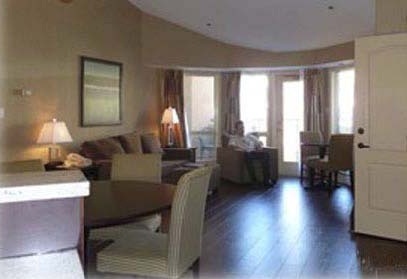 We also offer the Spa at the Grand, restaurants, and a convention centre. 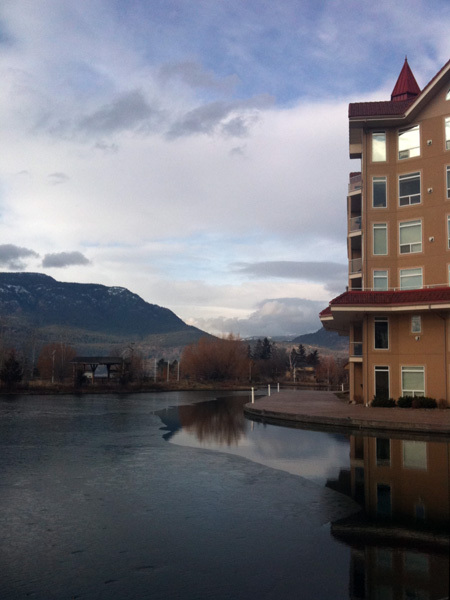 Recently ranked among the Top Waterfront Hotels in Canada for 2010 by Canoe.ca, the Delta Grand Okanagan Resort is praised for its proximity to top Okanagan wineries, skiing, snowboarding, and water sports. The resort of choice for the most discerning traveler! 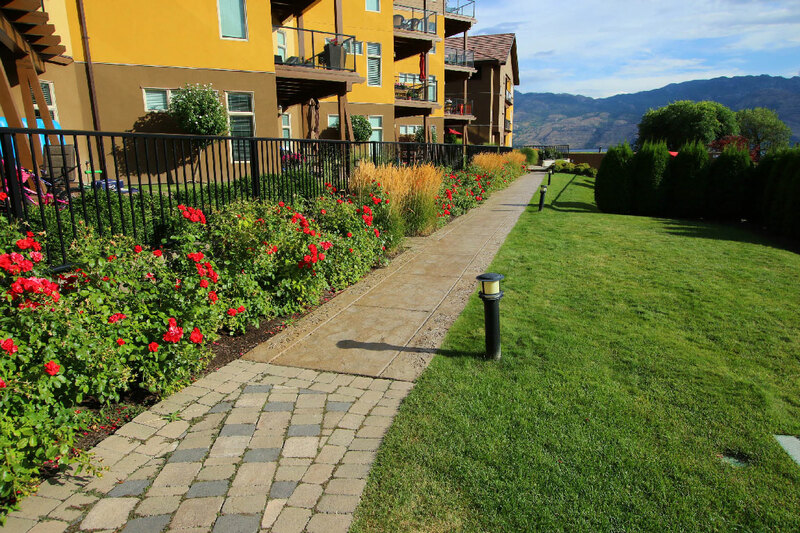 A superb guest condo with a walk-out patio to Kelowna's waterfront boardwalk. Watch the July 1st fireworks from your own deck. Check-in is after 2PM and check-out is until noon, with the possibility of requesting a delayed check-out up to 2PM at the front hotel desk. Also, the bell captain can arrange to store luggage for pickup later in the day, for guests wanting to remain in the area for the fireworks on July 1st. 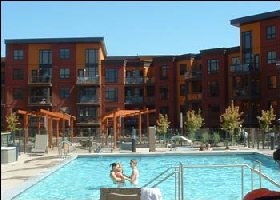 Amenities: Pools, Hot tub, Exercise facility, Spa, Steam room, Convention rooms, BBQ, Underground parking. Nearby Attractions: Beaches, marina, restaurants, casino, shopping, wineries, golf courses, and ski hills. Minutes away yet Worlds apart. 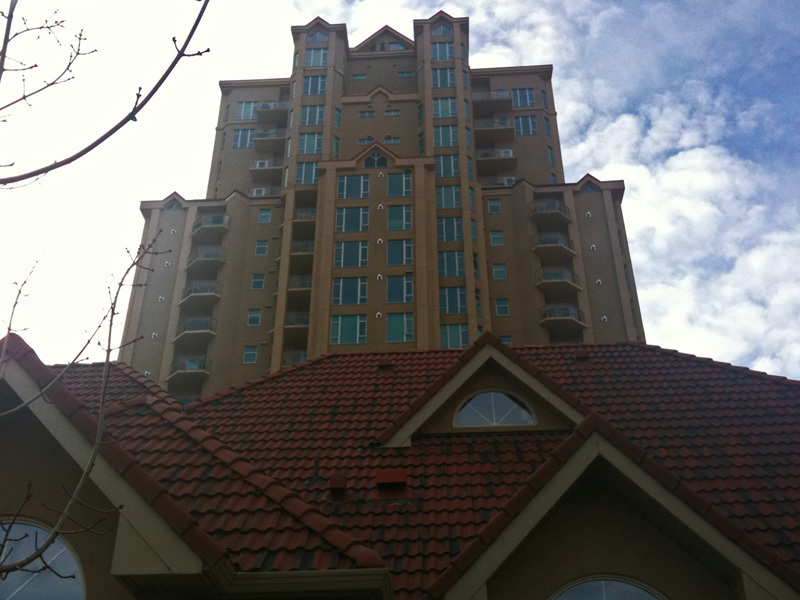 Winterra At The Lakes, Lake Country luxury condominiums, are a step above the rest. Included are kitchen-ware, Egyptian linens, towels and bath necessities, in-suite laundry facilities, gas barbeques, and more. 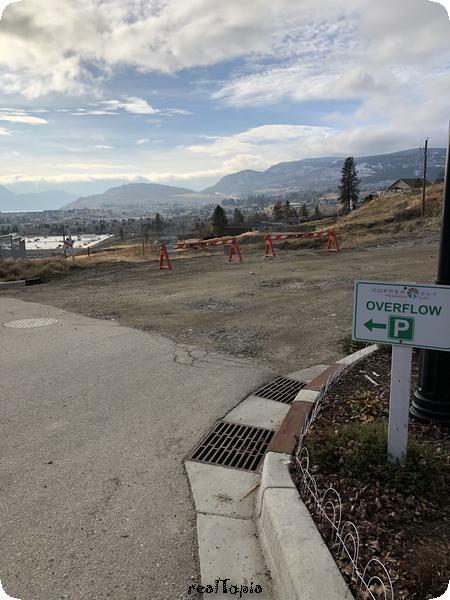 Nestled in a Cohesive Master Plan Community with exquisite views of the Okanagan Valley and Okanagan Lake, Winterra At The Lakes is close enough to Kelowna and Vernon for big city amenities but just far enough away from it all for relaxation and quiet enjoyment. 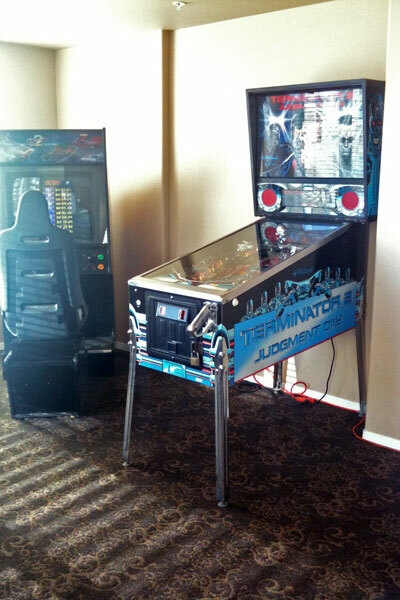 Winterra At The Lakes has a variety of amenities. 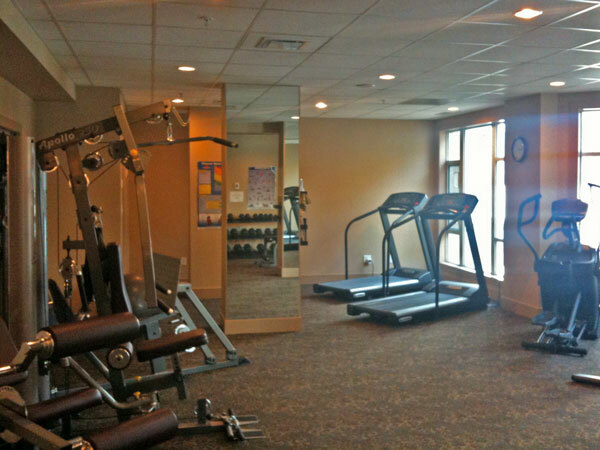 Enjoy the swimming pool, hot tub, & fitness gym. Walking trails, wineries, orchards, ski resorts and many other attractions make this location a 4 season playground. 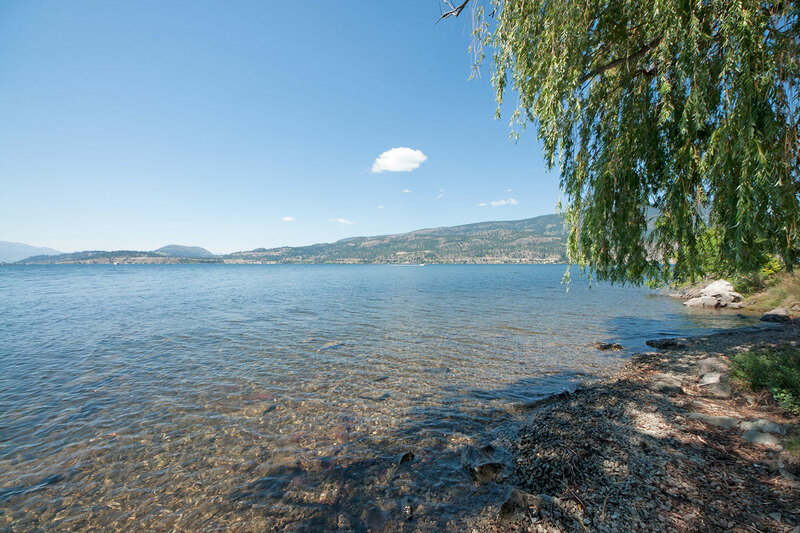 Located only 10 minutes from Kelowna International Airport, 15 minutes to Vernon, and 20 minutes to downtown Kelowna; Lake Country is quickly becoming an International Destination. 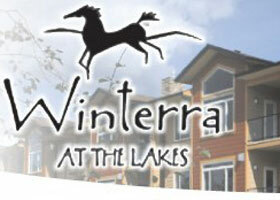 Winterra At The Lakes is truly a unique experience of lifestyle that inspires.